NYC Immigration Lawyers, Naturalization, Green Cards, Deportation Defense, Brooklyn, New York - How Do I Get A Waiver Of The Foreign Residence Requirement If I Am An Exchange Visitor? 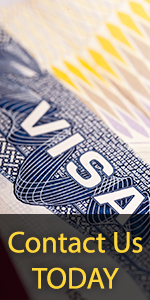 » How Do I Get A Waiver Of The Foreign Residence Requirement If I Am An Exchange Visitor? A nonimmigrant temporarily enters the United States for a specific purpose. Exchange visitors are nonimmigrants (J-1 status) who participate in the Exchange Visitor Program. This program, which is administered by the Bureau of Consular Affairs, seeks to promote peaceful relations and mutual understanding with other countries through educational and cultural exchange programs. Accordingly, many exchange visitors entering the United States are subject to a requirement that they return to their home country to share with their countrymen the knowledge, experience and impressions gained during their stay in the United States. Unless USCIS approves a waiver for this requirement, exchange visitors must depart from the United States and live in their country of residence for two years before they are allowed to apply for an immigrant visa, permanent residence, or change to a new nonimmigrant status. The Immigration and Nationality Act is a law that governs the admission of all foreign nationals to the United States. For the part of the law about the foreign residence requirement, please see INA § 212e and INA § 214. The Code of Federal Regulations [CFR] discusses the foreign residence requirement for exchange visitors at 8 CFR § 212.7 and 22 CFR § 514. Any part of your participation in the exchange program was paid for, directly or indirectly, by your government or the United States Government. Your program sponsor should have noted on your DS-2019 (previously the IAP-66) (Certificate of Eligibility for Exchange Visitor Status) if your program was paid for directly or indirectly by your government or the United States Government. You can also discuss this issue with officials from the Bureau of Consular Affairs. A U.S. government agency requests a waiver directly from the Bureau of Consular Affairs for you because you are engaged in a project of official interest to the agency. An interested Federal agency, any State Department of Public Health or its equivalent sponsors you to work full-time for three years as a nonimmigrant H-1B status (temporary worker in specialty occupation) physician in a geographic area designated as having a shortage of health care professionals. Waiver applicants sponsored by the Department of Veterans Affairs are not required to practice medicine in an area designated as having a shortage of health care professionals. If you are granted the waiver, you must agree to begin your employment within 90 days of receiving the waiver. The request of the interested State or Federal agency is submitted to the director of the Bureau of Consular Affairs. If you fall under the first two categories above, you must file a USCIS Form I-612 (Application for Waiver of the Foreign Residence Requirement) by mail with the USCIS office that serves that area where you live. Please read the entire application carefully and submit the right documents, photos, and fee. Forms are available by calling 1-800-870-3676, or by submitting a request through our forms by mail system. For further information on filing fees, please see USCIS filing fees, fee waiver request procedures, and the USCIS fee waiver policy memo. Please see our USCIS Field Offices Homepage for more information on USCIS office locations. If your government, a U.S. government agency, or a U.S. state is applying for a waiver for you, the government body should apply directly to the Bureau of Consular Affairs for the waiver. The USCIS and the Bureau of Consular Affairs will consider your case, and notify you of their decision. For further information on application for waivers, go to the Department of State Bureau of Consular Affairs Website on this subject. To check the status of your application, please contact the USCIS office that received your application. You should be prepared to provide the USCIS staff with specific information about your application. Please click here for complete instructions on checking the status of your application. If your application is denied by the Bureau of Consular Affairs or the USCIS, you will receive a letter that will tell you why the application was denied. You will also be told whether you have a right to appeal this decision and how you should appeal. For more general information on appealing USCIS decisions, please see How Do I Appeal the Denial of Petition or Application?